"Your Outdoor Adventure Starts Here"
Welcome to the Sleepy Eyed Goose Resort and our Curtis MI Gift Shop. We have some great items here in the shop for you, your family and friends to purchase. Need a new hoodie, cap or t-shirt? We got you covered with some really great items to browse. We look forward to your visit to our Curtis MI Resort! 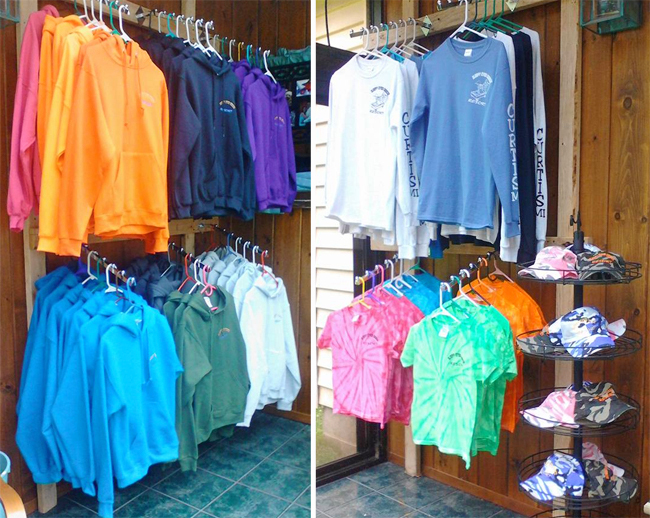 Sleepy Eyed Goose Resort has a great line-up of hoodies, long sleeve shirts, t-shirts, and hats. We'll be adding some great additional items in the near future. We look forward to your visit and invite you to check out our Curtis MI Gift Shop!